You might associate advanced driving with Hollywood films or work as a professional driver, but the skills you will learn at Brack Driving Concept’s High Performance Driving program (BDC) will actually serve you well in daily life. According to MADD Canada, road crashes continue to be the leading cause of death among teen drivers, with youths having the highest per capita traffic death and injury rates among all drivers under 75. Meanwhile, Statistics Canada notes that people aged 70 and above have a higher accident rate per kilometre driven than any other group except male youths. Advanced driving is a fun way to build confidence, learn how to negotiate difficult road conditions, and learn to deal with obstacles to safety you can encounter in your daily driving experience. If teenagers can be rash or over-confident when driving, the same cannot be said about seniors. Because seniors may have age-related physical or health changes, they can be slower to react and can lack confidence when carrying out manoeuvres such as lane changes. The High Performance Driving course can help any driver to be more confident on the road. Practise certainly makes perfect when it comes to learning techniques to be more alert and the moves required to avoid obstacles or to feel more confident even when the roads are wet or driving conditions aren’t their best. Younger drivers too can benefit from this part of the course. 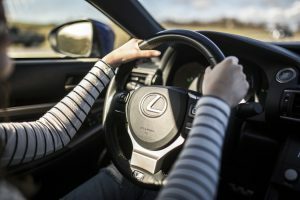 A good driver is one that is neither over- nor under-confident and is aware of techniques to stay alert plus having first-hand practical knowledge of what they and their car are capable of in an emergency situation to avoid harm to themselves and their vehicle. It is important to be fully aware of the risks that even safe conditions can present. Young drivers can benefit greatly from the art of advanced driving skills; knowing the possible risks that other drivers, distractions, and even tiredness can cause. 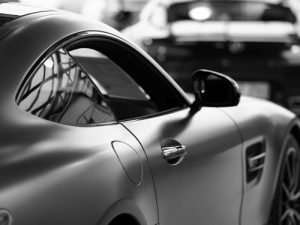 The BDC program is ideal for drivers of all ages who have sports cars since these tend to react more quickly in slippery or high-speed situations. Winter, in particular, can introduce odd dynamics into driving. As part of the course, students learn how to react to different challenges and the pace of classes is quick but fun. You will learn skills like making it around traffic cones while, trying to steer your car in a particular direction in icy conditions, and trying to ‘save’ your car from spinning. In addition to the skills learned in an advanced driving course, students also learn the importance of awareness and adopting the advanced techniques taught. Having the skills to anticipate and respond to potential obstacles and accident risks is key, especially if you drive a high performance vehicle. Advanced driving allows you to hit the road with the right level of confidence and learned skill set to help ensure that you are always in command, even in tough weather conditions.